Ensuring that human resources technologies, processes, procedures, and policies are aligned and consistent across the entire UVA enterprise. UVA HR is organized into the Office of the CHRO, which includes Change Management and Communications, and three Communities of Expertise - Talent, Service, and IMPACT - all of which are described below. 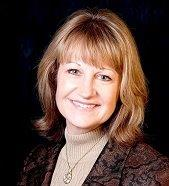 Kelley Stuck is Vice President and Chief Human Resource Officer at the University of Virginia. As UVA’s top human resources executive, Kelley Stuck is responsible for creating innovative ways to engage all employees and establishing the culture, systems, and training that will develop leaders and empower employees to solve problems. She also creates integrated talent acquisition plans in partnership with leaders in the Academic Division, Medical Center, and University Physicians Group. In addition, Stuck ensures that human resources technologies are aligned and consistent across the entire UVA enterprise. Kelley Stuck has championed the University’s new Ufirst initiative, which creates a customer-centric human resources function making the employee experience exceptional. Ufirst takes a holistic, strategic view across UVA, including the entire Academic Division and Health System. Kelley Stuck graduated from Truman University in Kirksville, Missouri with a Bachelor of Science in Education in Marketing Communications, and from the University of Central Michigan with a Master of Science in Administration with a Human Resources Concentration. She holds a Senior Professional Human Resources certification. Who is UVA HR and what do we offer? The UVA HR service delivery model represents how HR services are delivered to those we serve – you and those in the UVA community. This model keeps our customers at the center, setting you up for success and delivering consistent, exceptional service across the entire UVA organization. 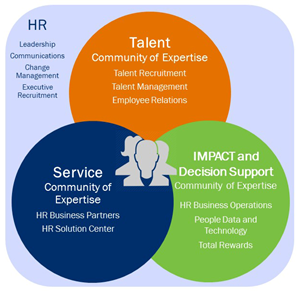 The HR service delivery model is organized into three communities of expertise. Supports the heart of UVA – our people – through effective recruitment of the best available candidates and helps them flourish in their careers through development, performance feedback, support through difficult times, rewarding and recognizing great work, and encouraging continuous learning. Organized around a simple goal of making work lives easier and better across Grounds by delivering HR consultative services for all faculty, staff, and team members helping them reach their full potential at UVA through a blend of services from the HR Solution Center and HR Business Partners located in the schools and units. Delivers the HR systems, analytics, process, and policy infrastructure to both optimize and measure the effectiveness of how HR services are delivered across Grounds. The Office of the CHRO also encompasses HR Change Management and HR Communications. We are also fortunate to partner with members of the UVA community with the HR Advisory Committee. Our vision is to create and sustain a culture of continuous improvement across Human Resources functions and in collaboration with related UVA resources. We develop solid change management methodologies and tools in collaboration with initiative owners across the University. Change Management is a service provided to Human Resources to efficiently and effectively manage and coordinate HR initiatives. HR Change Management works closely with HR Communications and initiative leaders to organize, oversee, and manage HR projects and activities to increase value by leveraging best practices. The use of consistent change management methodologies and practices improves and encourages successful outcomes of initiatives in HR and across the University. By practicing these methodologies within HR, the investments in time and resources will deliver desired outcomes and value to those we serve. The HR Communications team develops and supports all functional HR areas. Working collaboratively with UVA communication resources across Grounds, functional HR Communications support ensures consistent and effective delivery of key internal HR messaging. Our tailored key messages promote buy-in, build engagement, and increase adoption of HR programs. HR communications are coordinated with other University communications to increase message unity. HR Communications helps customers by delivering best practice communication guidance and support, providing multiple ways for faculty, staff, and team members to receive communication (website, newsletter, social media, etc. ), and coordinating communication activities across HR and the University. We create a strategic, consistent, and recognizable approach to HR communications to enhance the recognition of key HR messages and corresponding actions needed. Messages are designed to resonate with our customers and build a sense of camaraderie. Our approach enables faculty, staff, and team members to feel more connected to the organization. We leverage the strength of the UVA brand to support the recruitment of top talent, enhance engagement, and foster affiliation. The competition for top talent in healthcare and higher education is palpable. Creating an attractive and promising employment experience for UVA improves the reach of Talent Recruitment so we can continue attracting and retaining the best of the best to our University. HR Communications helps customers by supporting communications requirements with strategy, tools, and processes for all HR needs and serving as the liaison between University Communications and UVA Health System Marketing and Communications. We also ensure a clear and continuous look, feel, and voice for HR communications. The Human Resources Advisory Committee (HRAC) shall serve as platform for engagement and feedback between Human Resources and the University communities it serves, with the goal of enhancing the workplace experience at UVA. Advisory in nature, the committee will be engaged with information on new programs and services, changes being considered to existing offerings, and in other matters related to services and programs for employees, and communication between Human Resources and employees. You can find a copy of the HRAC charter here. Visit the HRAC page here.